Edgworth BL7 Steam & Dry Carpet & Rug Cleaning Services | Quality Property Care Ltd.
Bring back your gorgeous rugs with the assist of a professional rug and carpet cleaning company in Edgworth BL7 Has your stunning rug lost its vivid colours and looks worn and dull? There easy and quick solution for you. Quality Property Care Ltd., a rug and carpet cleaning company which offers professional commercial and residential carpet and rug cleaning in Edgworth BL7 and the region. The carpet and rug cleaning services are delivered with the newest cleaning technologies and reliable cleaning solutions. The professional rug and carpet cleaning team offers carpet stain and spot removal, shampoo carpet cleaning or dry foam carpet cleaning for all kinds of rugs and carpets . Trust the tvetted and trained cleaners to deliver you high quality services at the best carpet and rug cleaning prices in the region. Call the professional customer service line or send an online require for a 100 % free quote, and you will get an offer in 2 hours! For more delicate materials like cotton and silk we use a more gentle approach which does not depend on heat or moisture to remove a stain. Natural materials hardly ever react well to both heat and moisture so we are using a specialised dry compound which comes in a granulated form. The same process of stain and rug or carpet prepping does apply as was explained in the hot water extraction method, allowing us to much better remove the spot. This time we pre-treat the stain with a special detergent, specially chosen for the type of fiber we are cleaning. It’s applied and let to set into the stain. Once that is done we use the granulated detergent and spread it with a fine brush. This imbeds it into the fibers of the material forcing it into the spot. The dry ingredient is also let to set for 10 mins after which we extract it using a high powered vacuum machine, extracting 100% of the filth and detergent and filth. 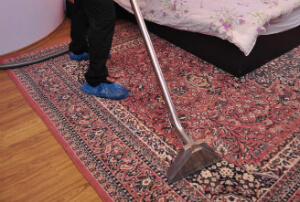 There is no trace left behind, leaving both your carpet and natural rugs fully cleaned and spotless. Regarding rugs we clean Wool rugs, Persian rugs, Chinese rugs, area rugs, handmade rugs, Tibetan rugs, silk mix rugs, shaggy rugs, Indian rugs, Turkish rugs, Egyptian rugs, play rugs, entrance mats, floor mats, logo mats, antique rugs, rubber mats, industrial mats and anti fatigue mats. 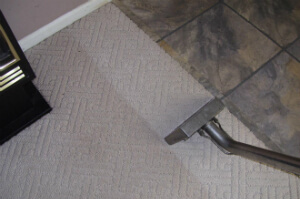 We’ve made an effort to be capable to correctly clean a wide range of carpet and rug types in order to accommodate the cleaning needs of all potential customers. Not only that but we’ve also been able to widen our catalog of stain specialization letting us to further guarantee your 100 % fulfillment. In terms of fiber types for carpets we can clean synthetic, natural and organic fibers like wool, cotton, linen,, silk, viscose, suede, flush, chenille, acrylic and quite more. Quality Property Care Ltd. offers deep carpet cleaning to remove all stains, dirt, residue and allergens and to kill all the germs in your carpets and rugs. The professional rug and carpet cleaning is performed by: hoovering, followed by steam carpet cleaning and highly efficient hot water extraction which takes away all excess water from the rug or carpet. For precious rugs or rugs which can not be cleaned with water, the firm offers rug cleaning and dry foam cleaning to safely remove the dirt and restore the charm of your rugs. The expert services offered are suitable for commercial and domestic properties as well. Dear customers, do not think twice to call us, if you have any issues or need of more additional info. Our carpet cleaning customer support reps will reply to you as soon as possible! For immediate online reservations, use the booking form on our web site. Get a free quotation via this phone number: 020 3746 4287! Our friendly and decent rug cleaning company in Edgworth BL7 is waiting around for your calls!